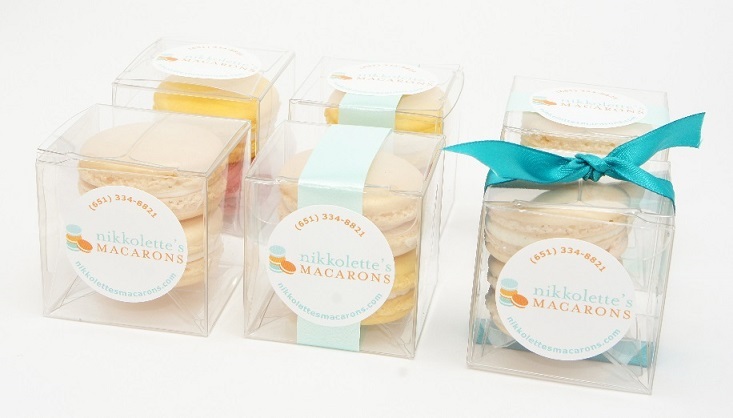 Our gift boxes make Nikkolette's Macarons the perfect party favor for any occasion. We offer Party Favor boxes to fit 2, 3, or 6 macarons. All boxed favors will arrive un-assembled due to the fragile & delicate nature of the macarons. Macaron gift boxes come with a Nikkolette's Macarons sticker and ribbon. Please contact us for customized ribbon and decoration. To reserve Wedding/Event orders, a 50% non-refundable deposit is required. The remaining balance is due at least 2 weeks prior to the event. We recommend that you place your order at least 2 weeks in advance.